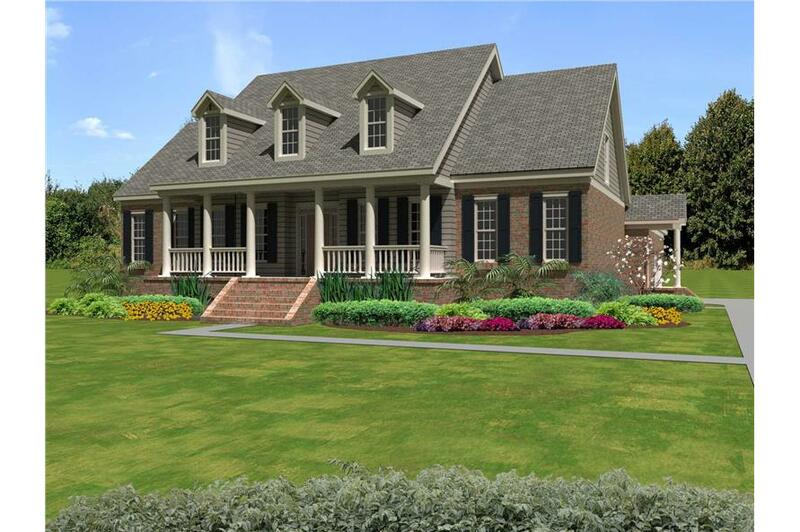 This Cape Cod style house plan is a beautiful design. This plan will be able to prove it to you. The dormers and front porch are as good as anything to show you but if you need more just look at the floor plan. Right out of the gate you have a study and dining room that both have their own features. The great room is a giant and has a fireplace that will take care of warming it. The kitchen has a small island and, to the side, a desk. The master suite has a lot of space in the bathroom and a unique counter layout in the bathroom. PLEASE NOTE: Some plans may take 2-3 weeks to receive! Additionally, not ALL plans from this designer are available in CAD or PDF, some additional charges may apply. Contact us with any questions or concerns BEFORE ordering! Thank you! For use by design professionals. This file may be available. Please call or email us first so we can confirm for you. A CAD file includes one copy of all CAD files for your house plan. This allows for more extensive plan modifications and enables the desginer/architect to begin working from the existing file rather than redraw the plan. The cost for the CAD file offsets some of the labor costs a designer would charge if the plan were redrawn. Purchase of this CAD File constitutes a license to build a single house only. The disks will be shipped to you.